Once you feel confident that you have covered the learning materials for this unit, you are ready to attempt this assessment. When you are ready to submit your assessment, upload the file in OpenSpace using the Assessment Upload links in the relevant module of your course. If you need further assistance, the Student Lounge provides a ‘Quick Guide to Uploading Assessments’. Uploading assessments in OpenSpace will enable Open Colleges to provide you with the fastest feedback and grading for your assessment. It is important that you keep a copy of all assessments submitted to Open Colleges. The assessment tasks in this booklet have been designed to allow you to provide evidence that demonstrates your competence in the unit CHCECE010 Support the holistic development of children in early childhood. provide feedback on the outcomes of the assessment process. You are required to complete a written assessment that involves responding to both short answer questions and case studies, and are required to complete a project for CHCECE010 Support the holistic development of children in early childhood. 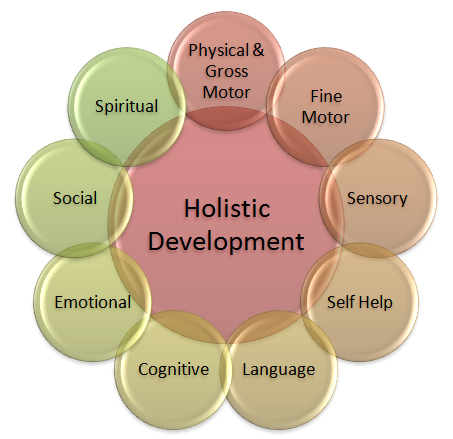 create an environment for holistic learning and development. This project is in three parts. You are required to complete each part of the project. understand the meaning of actions words. Keep in mind that this part of the task requires you to focus on the major achievements and milestones in each age range only. an experience to support development of the milestone skill. You must do the above for each achievements/milestone listed. For each experience suggested link it to an EYLF outcome. 2. raise head upper chest and pushing up on arms and legs while lying on her stomach. Later on she will crawl and stand up against on object. 3.Reach for toys and hold with palmer grasp Sit on floor with child and play with her with her toys Interact with child at eye level and encourage her as she is showing signs of coordinating movement to begin to crawl Provide the child with interesting resources- tap and shake them to create interest in the objects- praise efforts to reach them and holding them in the palmer grasp Place pillows behind the child Place her on her tummy on the mat after nap time some tummy time and encouraging her attempts While changing their nappies have sterilised objects that child can reach for and grasp top keep them busy while changing his or her nappies. 4 children are curious and enthusiastic participants in their learning. 1.3 children develop knowledge and confident self identities. As you worked through the Learner Guide for this Unit of Competency you were asked to collect ideas for appropriate experiences that support the different areas of children’s development. Now it is time to collate your ideas into a Resource Kit. Your ideas for experiences must support the development of children aged 0-6 years. In each section you need a minimum of three ideas; therefore you will have a total of 18 entries. For example, physical development will have three experiences as will social development and so on. Each entry should be a maximum of two pages. Ideas should be gathered from a minimum of five different sources. Sources include books, journals, internet articles, CDs and so on. suggested interactions to support children’s efforts and achievements. Your Resource Kit can be either paper-based or in an online format using a free downloadable software product. If presenting the tool in an online format, make sure you provide a Web link and instructions so that your Assessor can easily access the tool. Get CHC50113 Diploma of Early Childhood Education And Care Assignment written by experts.